We are close to the full launch of the Google mobile first search index, which was announced last year. And there's been some other news recently, in relation to Google ranking factors, which we've rounded up here. We posted about this big change in the Google SERP rankings towards the back end of Autumn 2016. Google has already been testing a roll out of the change but, this week, TheSEMPost has reported that Gary Illyes, Google Webmaster Trend Analyst, announced in a talk that the full roll out is only months away. 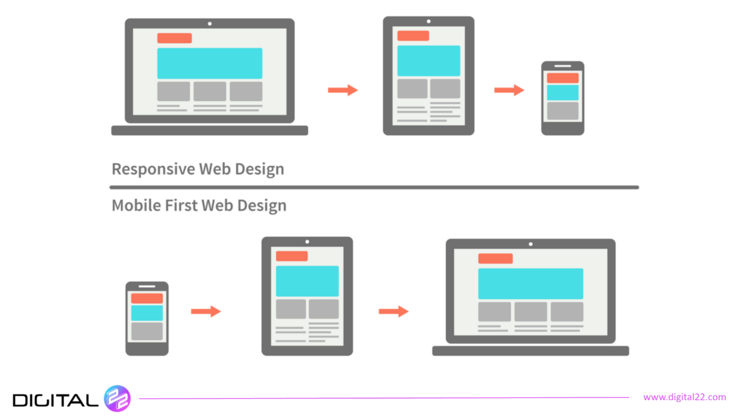 This change means that sites will be ranked by their mobile site performance before their desktop site. This has come about due to the fact that the majority of Google searches now take place on mobile devices as opposed to desktops. Trim load speed to cater for mobile network connections (4G and free wi-fi are "slow" to today's users). Assess page layout and content to make sure it's optimised for smaller mobile screen viewing. This will boost UX score and therefore ranking. Use CTAs which are logical for mobile devices: 'Call Now', 'Email Us', 'Share On Social' buttons. Remove interstitials and pop-ups because they are devalued on mobile. Check AMP performance. Gary Illyes (at Google) has previously highlighted that AMP will become more important this year. SEO needs four months to a year for the improvements to bring lasting benefits to your business. Whilst some agencies and companies will look to use quick and easy SEO wins, Google's mantra is to put the searcher's experience and the quality of the SERP first. Any sites which use spammy techniques or PPC fueled shortcuts are going to fall foul of penalties and ranking hits whenever Google updates the algorithms and SERP rules in the medium and long term. The only way to guarantee long term SEO growth is to play the long-game and do what Google and users want: deliver quality content, answer people's queries, don't spam them, reduce your bounce rate, be trustworthy... and so on. In short, put in the graft. Eagle eyed searches will have seen that searching for the "Best" or "Top" something or other will bring up a carousel of options at the top of the Google results page. But if you're thinking about how to target this prime SERP real estate - Google has confirmed it doesn't work on the same algorithm as the main results. We'll get there though and share any advice here on our blog. A bit of good news if you're concerned about your SEO workload, at the same conference where Gary Illyes talked about the switch to a mobile first index being only months away, it was shared that Google was NOT planning any "big changes" to Penguin in the short term. Unsure what this means? Read more about Penguin here and see whether now's a good chance to get caught up and prepare for when the changes do come in the future. And remember, no "big changes" doesn't mean there won't be plenty of other changes going on in the meantime. Google is always making tweaks and alterations to make sure only those with the best content and proper SEO habits are getting ranked in the top SERP spots. If this has made you think again about your SEO tactics and execution, open this free cheat sheet and get your SEO house in order today. Press the button below.